Y Pant is an over-subscribed school with an outstanding reputation for academic success and for fulfilling all pupils’ potential. 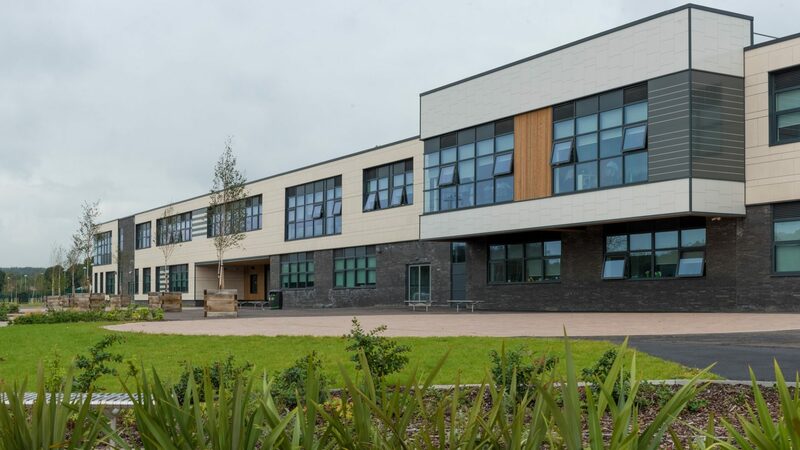 In 2017 Estyn deemed us “excellent” in all five inspection areas and we have been a green school since the Welsh Government categorisation began. In January 2017 we were in the enviable position of moving into a brand new building with state of the art facilities throughout. Setting aside the high standards of accommodation and academic success you will find the school to be a welcoming and exciting place to learn. Our motto ‘Living through Learning’ is at the heart of what we do and we take great pride in the many and varied high quality learning experiences we provide for our pupils. Visitors to the school cannot fail to be impressed by our pupils who are polite, vibrant, engaged, curious, well behaved, and keen to succeed. We do have unfailingly high standards and are ambitious to ensure each pupil becomes the best they can be. Our aim is to ensure that our pupils are happy and healthy, become respectful young people and fulfil their educational potential. We encourage all our pupils to take part in a wide variety of activities and play a full part in school life ensuring they leave with the skills, self-belief and motivation to succeed in adult life. The school is supported by a dedicated team of staff who are supportive, nurturing and forward thinking. They work tirelessly as a team to provide excellent learning opportunities for all. Parents who wish to apply for their child to attend the school in year 7-11 must do so via the local authority. We welcome applications from pupils who wish to join our vibrant sixth form and would encourage you to look at our sixth form area on the website to find out how to do this. If you would like to visit the school or find out more, please do not hesitate to contact the school.